PJ Mouse, an adorable little stuffed animal, was lost and alone until young Emily heard his cries for help. Now, along with his new family, PJ gets to travel the world-discovering exciting new places and people along the way! Come join PJ on his first adventure across Canada as he hikes on a glacier in the Rockies, finds a salt lake in the prairies, and walks on the ocean floor in Nova Scotia. This is one of the best books for children that I’ve seen. 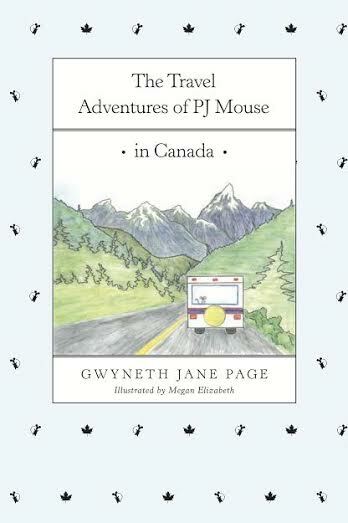 It not only is a great story of a mouse who travels, it’s full of adventure and information on Canada. Emily finds PJ under a bench in the pouring rain. Her mother lets her take her home where they put PJ in the washer and dryer to clean him up. After his bath he feels so much better, even though he is a bit spinny headed. The author tells the story through the perspective of PJ, who is a small mouse, so everything is bigger than it is for Emily and the other characters. On this trip, the family travels with a fifth wheel. They visit a lot of places including Niagara Falls. The illustrations are really cute and help you “see” the story. This book would be a great gift for any child. It will not only give them a really cute story, it will take them on a trip where they will learn a bit about Canada.